This Module Enables Sub-task feature in Project Module. In this module, you can split your task into subtasks. This blog will give you a brief description of Sub-Task for Task. We know every system have project management. In Odoo ERP, there is a nice and useful module for project management. It is one of the most useful and popular modules. However, Currently, Odoo has no sub-task feature in Project Module. 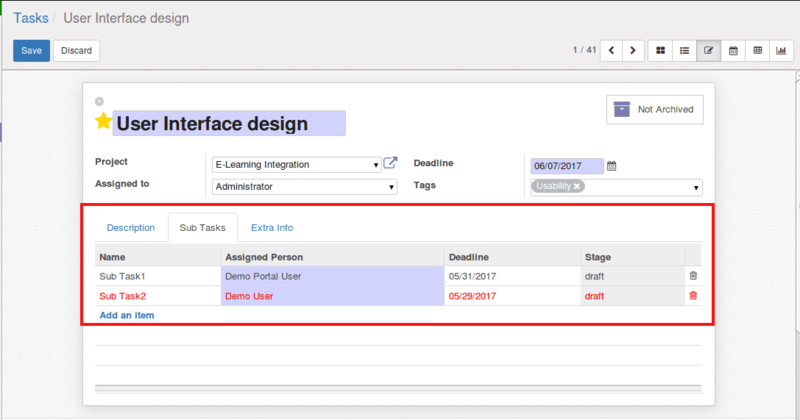 This customized module brings "SUB-TASK" forms and its configuration for projects with configured stages. A user can also analyze the subtasks under the project-reporting menu dynamically. It includes mainly following features. - Sub-task Feature for Project. - Sub-Task Lists Under Task. - Sub-Task Count in Task Kanban View. - Sub-Task Stages in Configuration. - Sub-Task Analysis under Report. - Deadline Validation for Sub-Task. - Stage Validation for Sub-Task. Here we can split our task into sub-tasks. Therefore, we can assign these subtasks to different employees. We can create sub-tasks to allowed projects only. 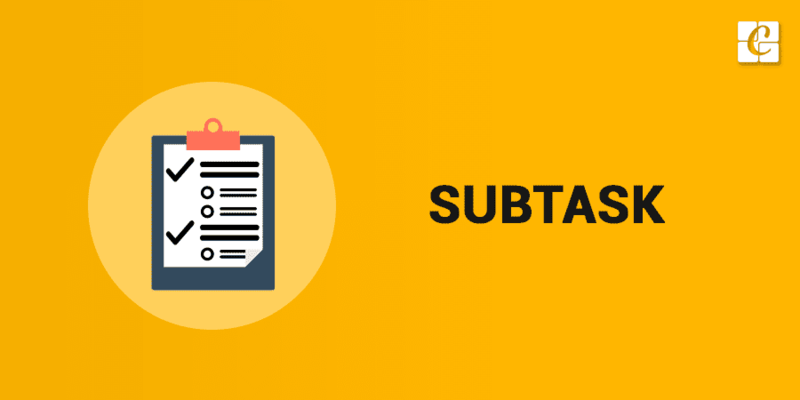 If you give permission to use subtask for a project then you can assign sub-tasks for a task that belongs to this project. We will get a brief report about subtask through Sub-Task Analysis under report. We can take any report related to any subtask from here. In addition, we can give any filtration. Sub-Task Module gives validation for stages and deadline. When you move the stage of the task into the final stage, but its child task does not reach the final stage. That time this module blocks this movement with a message “You can't move it to a final stage. Some child tasks are not completed yet!” Then when you move the stage into cancel stage that time all the subtasks under those tasks will go to cancel stage. Hello Cybrosys, I tried to install the module in odoo 11 CE. I get following error ImportError: No module named 'models' Is a model missing . I see that there is a model imported in init.py. But that is missing in models. We want this solution upgraded if we get this working in odoo 11.